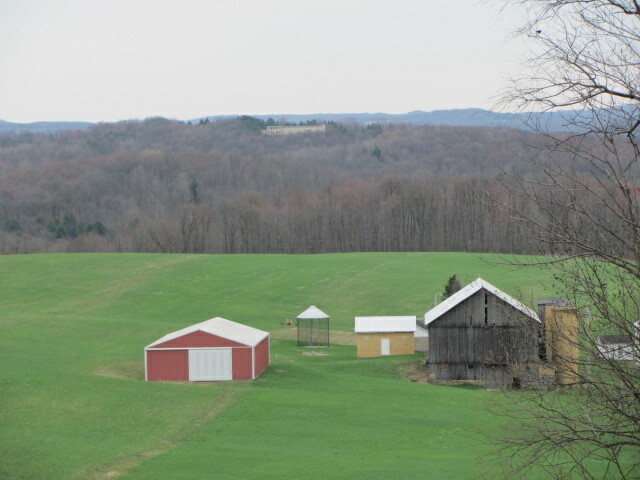 The spring gobbler season is rapidly approaching the Pennsylvania hills and hollows. My friend, Frank Maus, and I know how we are once that season is in place… we are hunting! With the though in mind we decided we needed to get a hike in prior to the gobbler season. Today was te day! We have had a lot of rainy weather this spring and finding time to get together for a hike was scarce. I watched the weather and this week was looking like another time with rain potential so I made contact and we met to beat the coming water. The morning was beautiful, but clouds were on the way. We traveled along Chechak Road and circled through the woods and fields back through the Ford City Sportsman’s Club grounds. We were looking for gobblers in the fields. The birds were absent this morning. However, we did hear an angry hen cutting. Although the bird was fairly close the thick vegetation forbade our view. Frank saw a turkey briefly flying in the woods. I was yapping too much to hear the flush. We did see one deer; a couple of rabbits (one was the Easter bunny) and a few squirrels. We, also, saw grackles, bluebirds, flickers, geese, wood duck and many other specie of bird life. The hike was several miles in total and the conversation was good. 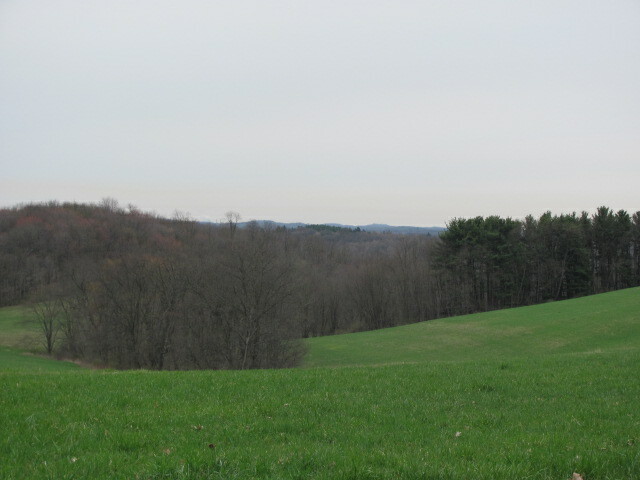 The area will traveled consisted of some rolling hills of forest land and fields allowing for some high altitude views. These combinations made for some spectacular views . We stood at several locations just searching the distances in wonderment as to how far we were actually observing.